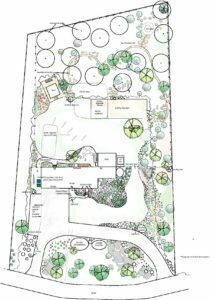 A wooded lot, primarily of mature oak and white pine, gets a facelift with a variety of woodland native plants. The focus was to provide diversity of blooms and seasonal interest that reflect New England’s woodland character. 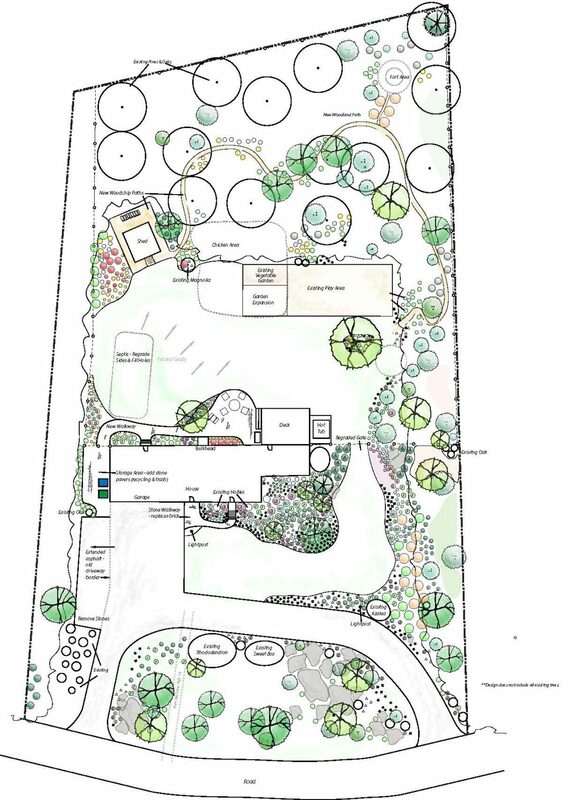 Functional features of the design included an extended back walkway to connect the patio with the driveway, storage area around the shed with new gardens, replacement of brick with bluestone in the front walkway, fire pit, woodland path, and areas for future chickens and vegetable garden extension.